It’s called the “silent killer.” You could have it right now, and not even know it. In 2009, it killed 43.6 percent more people than in 1999. High blood pressure. Or hypertension, as some call it. We know more about it than we ever have before, but still too many women are dying from it. In fact, a recent study found that it’s potentially even more dangerous for women than it is for men. Early diagnosis is key to avoiding long-term damage, and every woman is at risk. To increase your chances of enjoying a long, healthy life, keep your eye out for hypertension. It’s sneaky, which means you need to be ever watchful. Imagine you’re out in your garden watering your plants. The water comes through the hose free and easy, giving the peas and pumpkins a nice, cold drink. Then someone turns the faucet, and suddenly the water is gushing out with a stream powerful enough to flatten your squash plants. “Turn it down!” you say. Imagine the blood pumping through your arteries and veins as that water coming through the hose. When you’re young and healthy, it flows easily, and your heart can get blood to all corners of the body with minimal effort. As you age, things change. For a variety of reasons, the blood vessels become stiff, narrowed, and less flexible—kind of like an old hose. Over time, the heart has to work harder to pump the blood through those vessels—and the pressure goes up. Imagine that old stiff hose blocked with mineral buildup. The water is coming out at a trickle. It would take you all day to water the plants. What do you do? Turn up the water pressure to get that water to come out the other end. The water pushes through the stiff, narrowed opening and you have more water for your garden—but you also have more pressure inside that hose. Research has given us some benchmarks by which to measure blood pressure, to determine whether it’s “normal” or not. You’ve likely gone through a blood pressure test and been given two numbers. The first one (systolic) tells you the pressure in the blood vessels when the heart beats. The second one (diastolic) tells you the pressure when the heart is resting between beats. Doctors use these numbers to determine how your heart and blood vessels are doing. A normal level means all is well. Prehypertension means you’re at risk of developing high blood pressure. High blood pressure means you have a disease that can lead to heart failure, stroke, kidney problems, and more. Stage 2 high blood pressure is a more severe form of the disease. Though doctors look at both numbers, they are likely to pay even more attention to the first one after you turn 60, as high systolic levels at that age can indicate high blood pressure even if the lower, diastolic number is normal. Why is High Blood Pressure Bad for Your Health? Heart problems: These include heart attack, a thickened heart muscle, congestive heart disease, and heart failure. Blood vessel problems: As the blood vessels stiffen, thicken, and harden, it is more likely that the patient may suffer a stroke, aneurysm, kidney problems, vision loss, memory problems, and more. High blood pressure is called the “silent killer” because it rarely shows itself through symptoms. It works covertly, causing damage without leaving any clues behind. Occasionally, women may experience dizziness or headaches, but these usually don’t occur until the disease has already progressed, so it’s extremely important to get your levels checked at least once a year. Women, in particular, need to take a proactive approach to managing their blood pressure. As with all facets of heart disease, women have been left out of scientific studies until recently. It was believed that both genders reacted the same way, but now we know better. It May Cause More Damage in Women: In a 2013 study, scientists reported they’d discovered surprising differences in how high blood pressure develops in women as opposed to men. They compared 100 men with 100 women who had untreated blood pressure. They tested the forces involved in the circulation of the blood, as well as hormonal characteristics. They found that in women and men with the same level of high blood pressure, women suffered 30 to 40 percent more vascular disease. Researchers also found hormonal differences that contributed to the frequency and severity of heart disease. They concluded that women may need even more aggressive treatment than men for hypertension, considering that the disease could be even more damaging to their systems. Women Aren’t Treated as Aggressively: Women may need more aggressive treatment, but according to studies, they aren’t getting it as often as they should. In 2001, for example, researchers looked at medical records for over 600 women patients, of which about 234 had been diagnosed with high blood pressure. The results showed that the women did not receive adequate physical examinations or laboratory tests, and only 37 percent were advised to make changes in their therapy or lifestyles to improve their condition. Women Need to be Especially Careful During Pregnancy: High blood pressure during pregnancy can increase risk of damage to the mother’s kidneys and other organs, and can also increase risk that the baby will be premature or of low birth weight. High blood pressure also increases risk of preeclampsia, which can lead to life-threatening complications in mother and baby. Risk Goes Up After Menopause: Women have a slightly lower risk of high blood pressure prior to menopause, because female hormones have a protective effect. 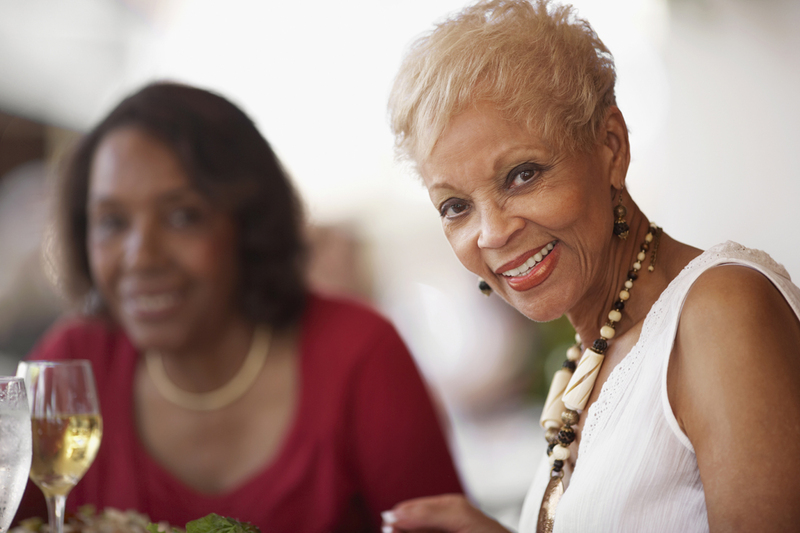 Younger women can and do still develop the disease—thus, the importance of testing—but after menopause, a women’s risk goes up significantly, even if she has had normal blood pressure up until then. In fact, a 2001 study found that after menopause, a woman’s risk increased to levels even higher than in men. Stress Can be a Dangerous Factor: Stress can raise risk of hypertension in both men and women, but some studies have shown that emotional stress can hurt women’s hearts, in particular. 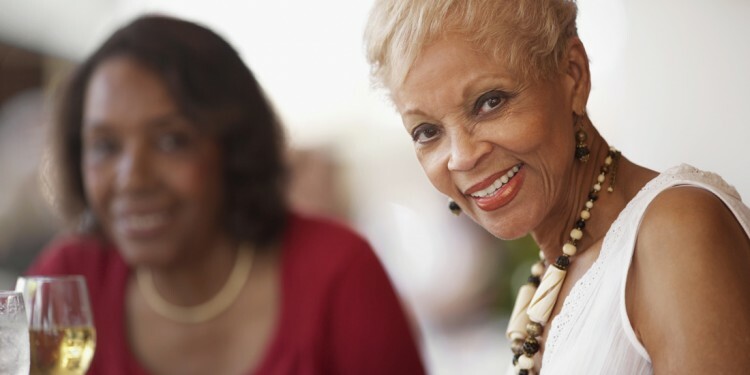 In 2014, for instance, a study reported that negative social interactions—such as a run-in with the boss, or an argument with a friend, or a criticism from an acquaintance—could trigger a long-term jump in blood pressure in women younger than 65. It wasn’t surprising that such interactions could increase blood pressure in the short-term, but in this study, the effects were linked with long-term hypertension. Fortunately, today’s treatments for high blood pressure can be very effective. Doctors usually begin by recommending lifestyle changes, including a low-salt, low-fat diet; increased exercise; a decreased intake of alcohol; and weight- and stress-management. If these techniques don’t work, medications can help bring the numbers down. The important thing is to catch it early, before it can cause damage that may negatively affect your life. “High Blood Pressure, Statistical Fact Sheet,” American Heart Association, 2013, http://www.heart.org/idc/groups/heart-public/@wcm/@sop/@smd/documents/downloadable/ucm_319587.pdf. Carlos M. Ferrario, et al., “Hemodynamic and hormonal patterns of untreated essential hypertension in men and women,” Therapeutic Advances in Cardiovascular Disease, November 26, 2013; 7(6):293-305, http://tak.sagepub.com/content/7/6/293. Asch SM, et al., “A new approach for measuring quality of care for women with hypertension,” Arch Intern Med., May 28, 2001; 161(10):1329-35, http://www.ncbi.nlm.nih.gov/pubmed/11371262. Jane F. Reckelhoff, “Gender Differences in the Regulation of Blood Pressure,” Hypertension, 2001; 37:1199-1208, http://hyper.ahajournals.org/content/37/5/1199.full. U.S. Department of Health and Human Services, “Spats, Conflicts Can Raise a Woman’s Blood Pressure,” Healthfinder.gov, June 6, 2014, http://healthfinder.gov/News/Article.aspx?id=688487. Soy: Anti-Cancer Boon or Bust?